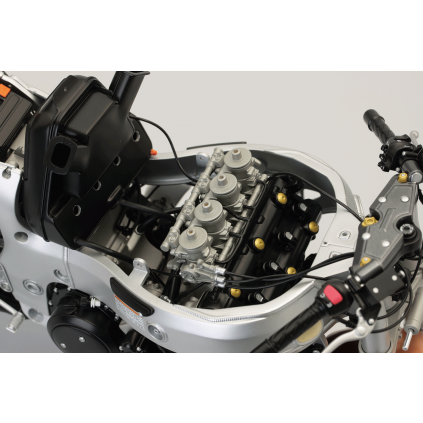 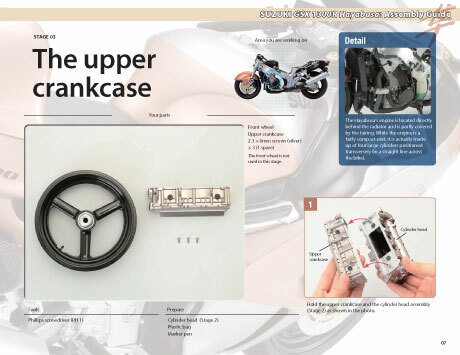 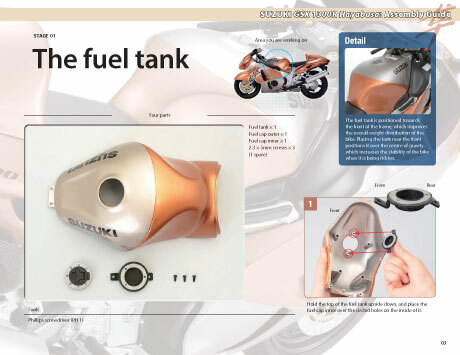 Build the world's fastest production motorcycle. 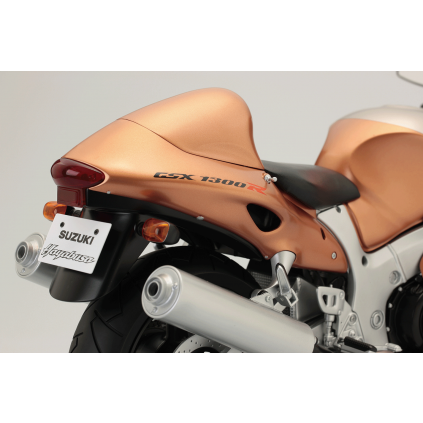 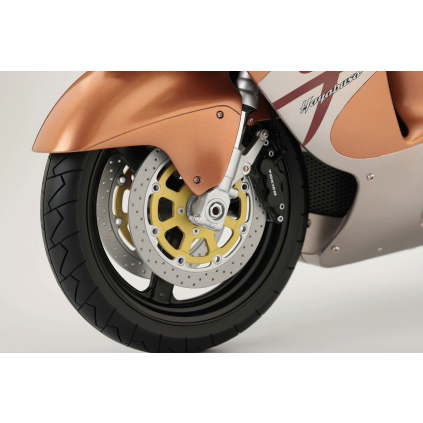 This superbly finished scale model is a perfect miniature replica of the ultimate sports bike. Suzuki's GSX 1300R was named after the Japanese for 'peregrine falcon', the fastest bird in the world. 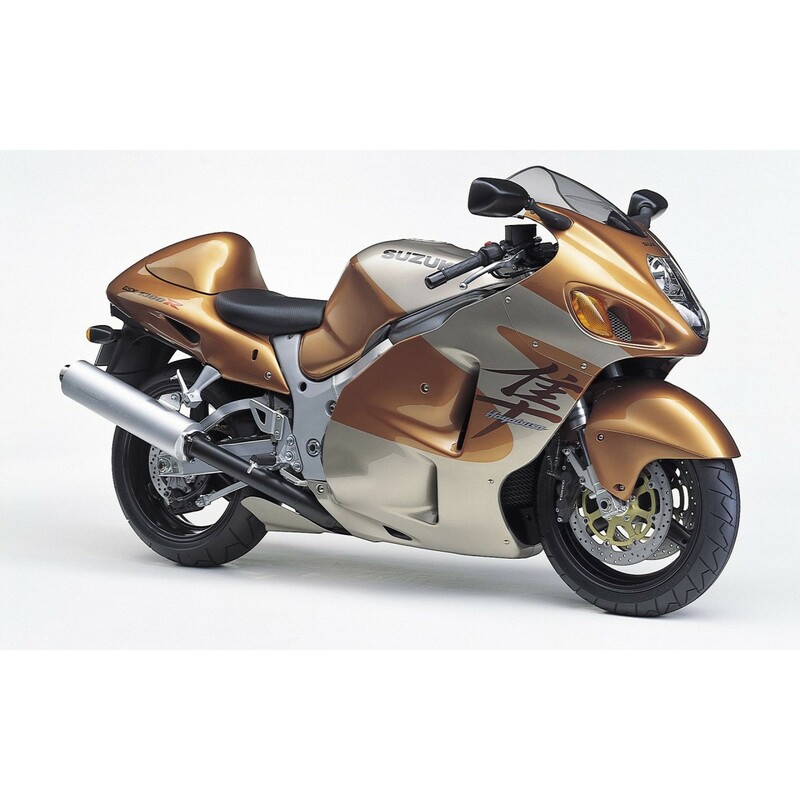 Like its namesake, the Hayabusa's combination of power and super-efficient aerodynamics enabled it to hit a top speed beyond 300km/h, making it the fastest production motorcycle of the millennium. 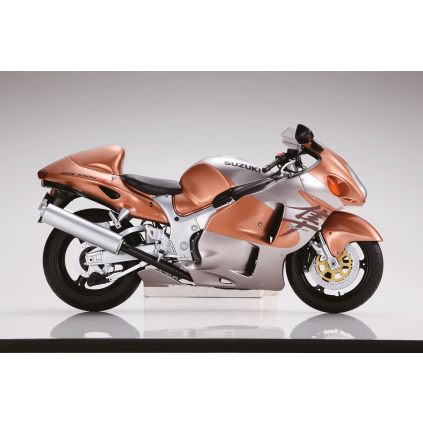 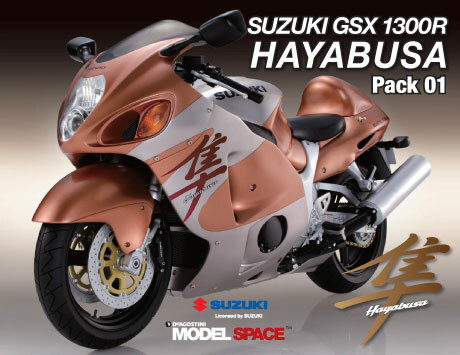 The Hayabusa's combination of power and super-efficient aerodynamics enabled it to hit a top speed beyond 194 mph, making it the fastest production motorcycle of the millennium. 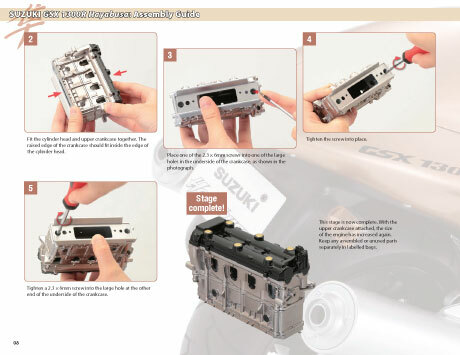 Every part of the model is based on the full-size original and is assembled is a similar way. 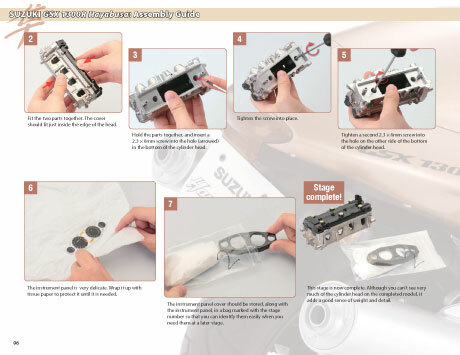 Choose to receive it in 24 monthly phases or as a complete kit. 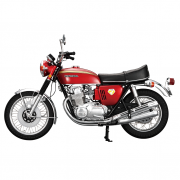 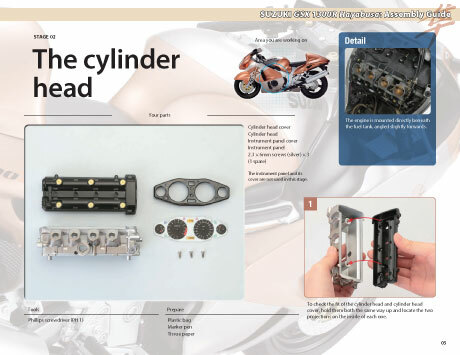 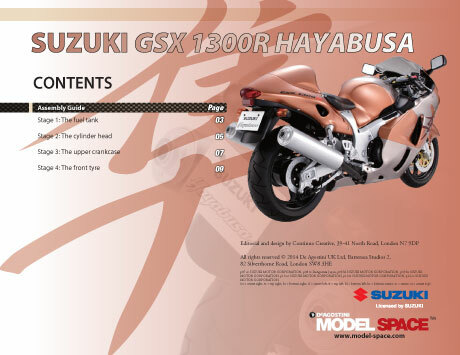 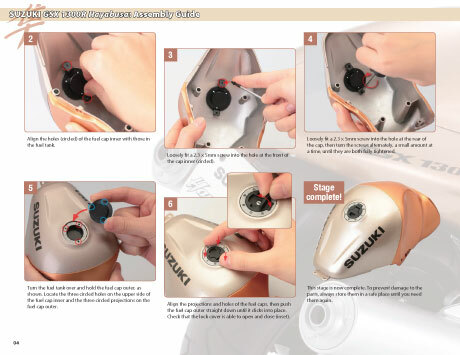 Your model comes with a fascinating magazine giving you the Hayabusa Story, the Super Sports Archive and your detailed Assembly Guide. 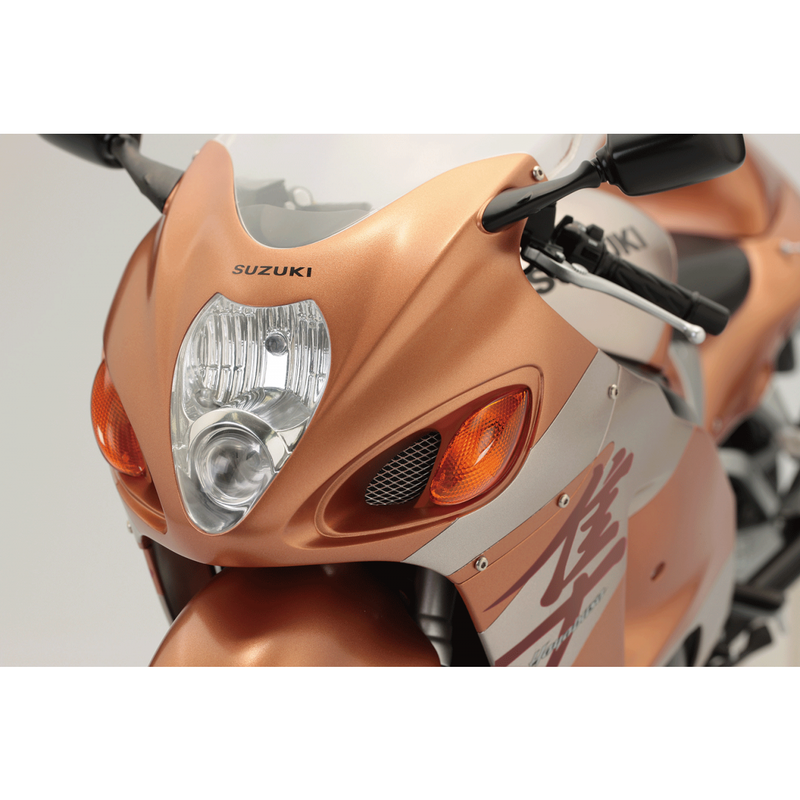 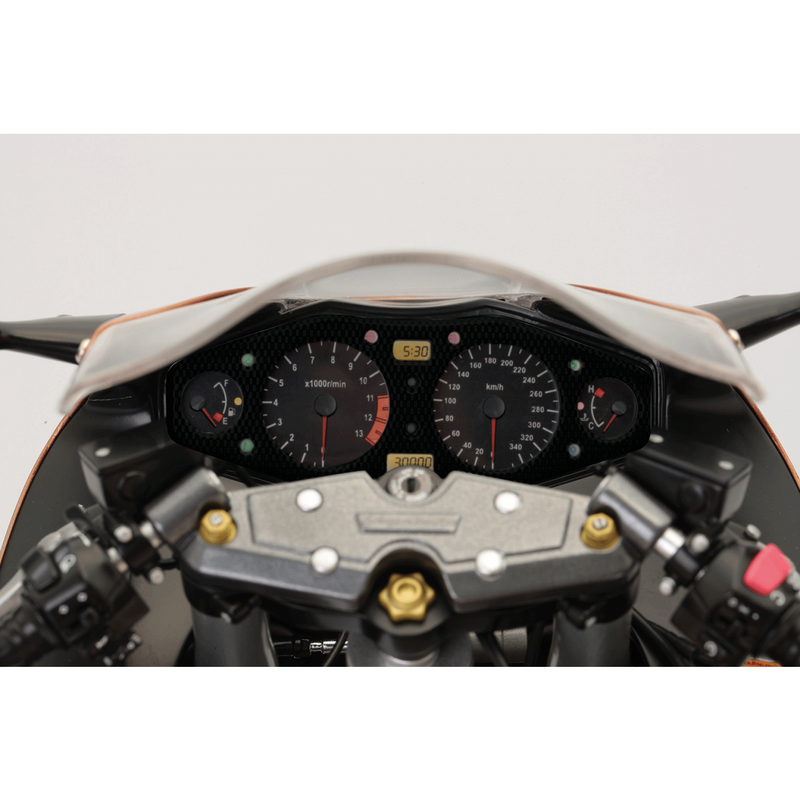 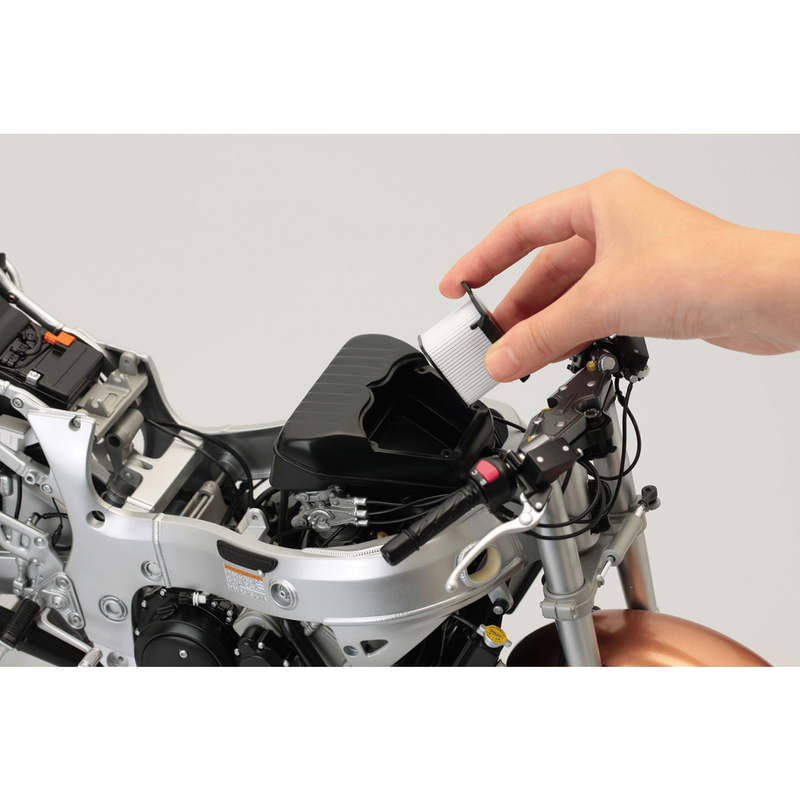 Your Hayabusa has fully functioning miniature lights (including turn indicators) controlled from the display base. 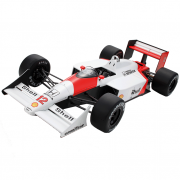 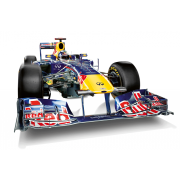 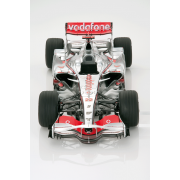 1:4 scale | Made of ABS, HIPS and die-cast metal | High-quality parts | Officially licensed replica | Weighs over 15 lbs.